As alarming stories about new pathogens like the Ebola virus or Mad Cow Disease fill today's headlines, scientists face a test of their abilities to contain them. But public health officials face a crisis of their own, because even when effective treatments become available, efforts to control disease often fall short. 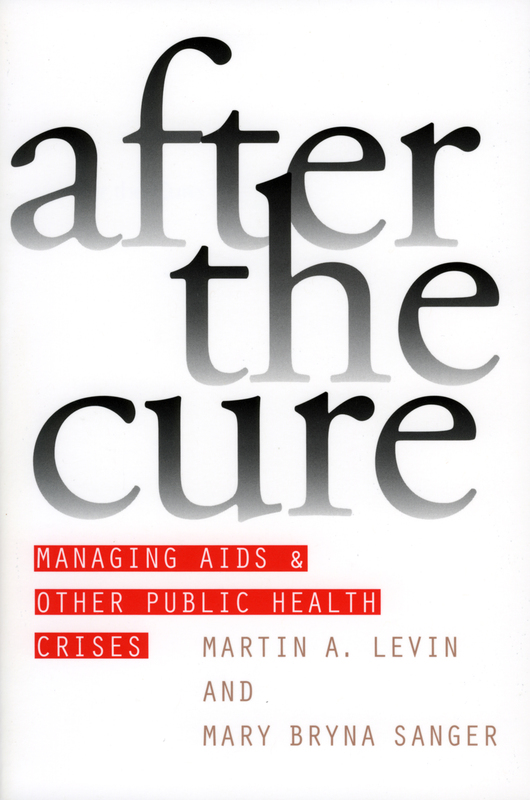 After the Cure was written to improve the prospects for effective management of AIDS and other public health crises. Martin Levin and Mary Bryna Sanger draw on cases of previous large-scale public health initiatives to show how management effectiveness can meet threats to public health. Focusing on AIDS as the most compelling contemporary example of the need for change, the authors advocate a commonsense approach that seeks to minimize the chances of failure. They encourage health officials to exercise "strategic skepticism" by developing plans that anticipate potential problems-such as scientific controversy over a vaccine's effectiveness or media sensationalism-which could arise from flaws in program design and implementation. Case studies involving polio, swine flu, childhood immunization, reemergent TB, and the early AIDS experiences demonstrate the variety of managerial problems that can confront such initiatives. By reviewing the lessons of these cases, the authors suggest how their approach can be applied to the management of AIDS and future public health threats. They then present both a critique of the early mismanagement of the AIDS crisis and a scenario for "the day after an AIDS vaccine is discovered." Because epidemics are likely to increase, After the Cure clearly demonstrates the importance of anticipating obstacles to their management through skillful scenario writing. Combining careful analysis with practical advice, it shows that in the public health arena, management matters as much as medicine. Martin Levin is professor of political science at the Gordon Public Policy Center at Brandeis University. Mary Bryna Sanger is professor of urban policy analysis and management and former dean of the Milano Graduate School at New School University. They are the coauthors of Making Government Work: How Entrepreneurial Executives Turn Bright Ideas into Real Results.